I'm really happy to be presenting at this years Maxon UK Training day. 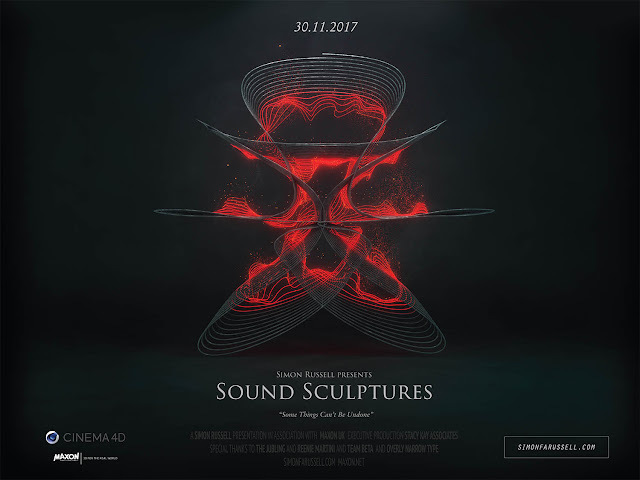 My talk is again based around visualising audio is and called 'Sound Sculptures'. We were asked to supply a poster in the theme of a movie poster as the talks are taking part in a cinema. Below is my effort. It's based on some experiments I've been doing with a harmonograph to visualise sound.